Kelvin Lester maneuvers a 2,000-pound bin of ?50s? 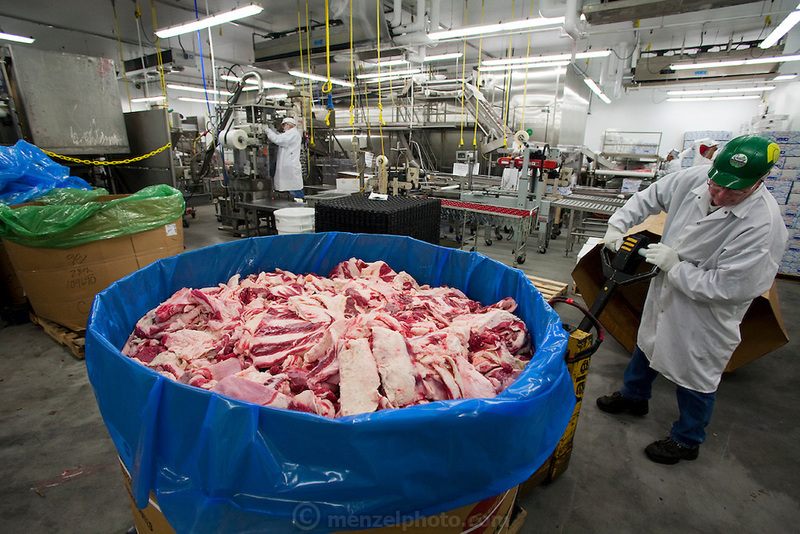 (carcass trimmings that are half fat) toward the grinding and blending machines at the Rochester Meat Company in Grand Meadow, Minnesota. (From the book What I Eat: Around the World in 80 Diets.) Less desirable trimmings with a higher fat content are ground into blends with different percentages of lean meat. The ton of 50s is added to other leaner cuts, and sometimes reconstituted beef fat?which is even cheaper?is mixed in as well.